Fiery gains for silver in July and August have boosted the melt values of silver coins in the third quarter 2012 and for the year. After boisterous gains during the January-March period, silver prices plunged in the second quarter to such an extent that silver was in the red through the first half of 2012. A modest turnaround in July and then sharp increases in August and September brought silver well back into the black for the third quarter and for the year — up in London with respective increases of 28% and 23%. Melt values for silver coins, naturally, shot higher with silver’s gains. Holders of bullion and junk silver coins, such as 90% silver coin bags or older US silver coins, watched their values rise sharply. 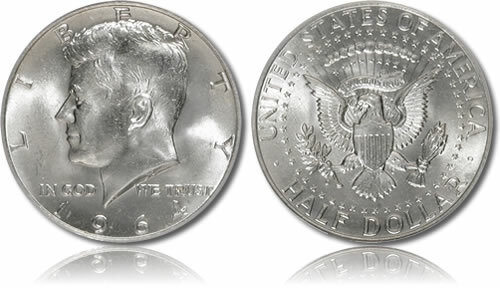 For example, a 1964 Kennedy half dollar went from a melt value of $9.79 at the end of June to $12.53 just three months later — a change of $2.74. In the same vein, melt values for modern silver coins jumped to make their prices much more attractive. Looking at several silver products from the United States Mint highlights the changes. In the table below are U.S. Mint products with columns that show how melt values have changed from their release date to the end of September when the London Fix price for silver was $34.65 an ounce.